Indications: Short or long-term treatment of asthma and other lung conditions. Summary Recommendations: Bronchodilators are most often prescribed for the treatment and control of asthma symptoms. It is best to maintain your current medication regime when you find out you’re pregnant. There are two types of bronchodilators, short-term and long-term. 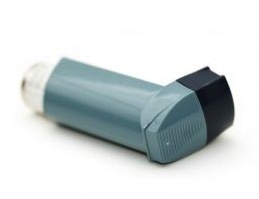 Short-term bronchodilators are used for quick relief of asthma flare-ups. Long-term bronchodilators are prescribed for asthma maintenance. There are three bronchodilator classes: theophyllines, beta-agonists and anticholinergics. Theophyllines help relax the muscles of the lungs and may reduce swelling. Short- and long-term theophylline tablets are available. Beta-agonists work in much the same way, but the small airway muscles are relaxed. Beta-agonists are available as inhalers, tablets and IV administration. The most common form of administration is the inhaler. Anticholinergics relax the large airway muscles. The medication must be inhaled via inhaler or nebulizer. Short- and long-term varieties are prescribed as needed. The three bronchodilators can be used in combination to reduce symptoms of asthma, COPD and other conditions that cause difficulty breathing due to airway constriction. General Precautions: The biggest mistake pregnant women can make is to stop using bronchodilators when they find out they are pregnant. Bronchodilators offer prolonged and immediate relief from asthma symptoms. While the fetus does not feel shortness of breath, when a pregnant woman suffers an asthma attack blood oxygen levels fall and that means less oxygen in the blood and less oxygen delivered to the fetus. If you are using a newly approved drug, your doctor may suggest switching to a drug with a longer medical history. The longer a drug has been in use, the more clinical reports are collected. Newer drugs do not have the history of use in pregnancy and thus remain relatively untested for several years. Effect While Trying to Conceive: Bronchodilators do not appear to have any effect on fertility. Effects on Pregnancy: Maintaining use of prescribed bronchodilators is extremely important during pregnancy. If asthma symptoms are left uncontrolled, oxygen delivery to the fetus can be impaired. Most bronchodilators, both short-term and long-term, are safe for use during pregnancy. Your doctor may change your current medication regime to better treat your asthma symptoms during pregnancy. About 1/3 of pregnant women report improved asthma symptoms during pregnancy and 1/3 report worse asthma symptoms. In these cases, your medications may be changed to meet your current needs. Safe During Breastfeeding: Bronchodilators are safe for use during breastfeeding. If your symptoms change after delivery your doctor may change your medications or increase/decrease dose/strength as needed. It is extremely important to stay in close contact with your asthma physician for the first few months after delivery as some women recognize prolific symptom changes during this time.